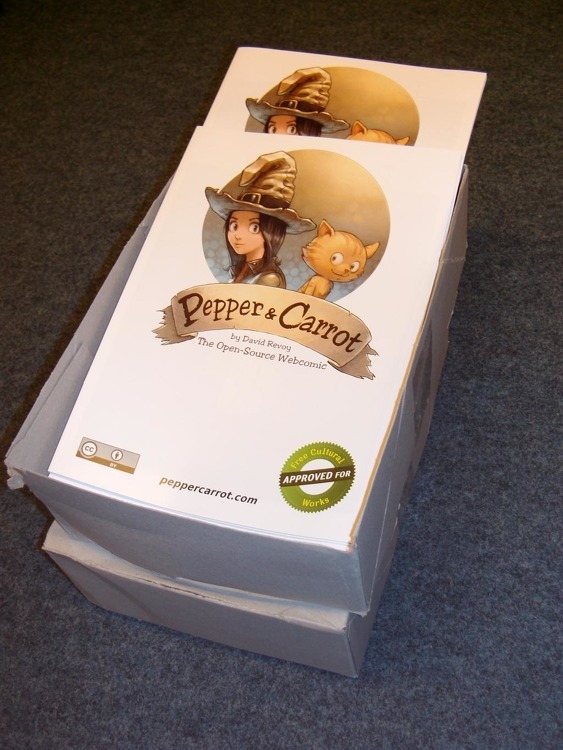 image: the box full of Pepper&Carrot comics printed ready to be sold. Linux/Open Source event in Kiel, Germany. also provides the source pdf used for printing. @Sara : Hi Sara, Thanks. Have a look at the sources : http://www.peppercarrot.com/en/static6/sources , there is a 300dpi print column with all page ready to print ( in all lang ).